On Thursday, October 12, at 7 pm, “Ivo Šebalj: Painting is looking for time” opens in the “Vladimir Becić” Art Salon. An exhibition marking the anniversary of the death of Branko Ružić will be opened on November 27 this year somewhat earlier than the mentioned date, because it is a matter of mutual cooperation, so because of the final alignment of all the institutions for the opening of the ship was selected on October 12th. The ship’s art audience will have the opportunity to see the selection of 150 works by Ivo Šebalo, one of the greatest Croatian 20th century painters, kept by Ivor Zidarić in his collection. Apart from the works of Chalupa, in the “Salon” Vladimir Becić, we will also have a chance to see some of the personal Šebal’s stuff from the studio. 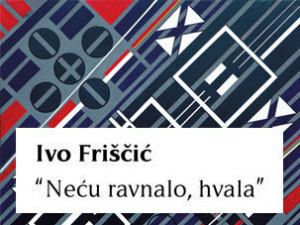 In the second half of 2014, an exhibition of works by Ivo Šebalj was held in Gliptoteci HAZU under the title “Štafelajni neumornik” with the promotion of the monograph of esteemed art historian Ivo Šimata Banova. By the end of 2014, the exhibition was presented at the Gallery of Fine Arts “Slavko Kopač” of the City Museum of Vinkovci, the Gallery of the City of Krapina and in the Gallery of St. Krševan in Šibenik, while in 2015, in the Pikto Gallery in Zagreb, the accompanying “Black and White Intimate” exhibition was organized and illustrated by Ivo Šebalo. 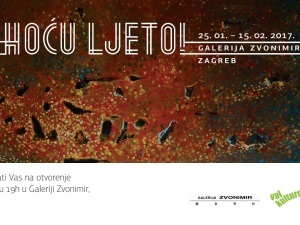 Given the great success of the exhibition and the excellent media coverage, and most of the great interest of the public and institutions in culture and art, the ultimate goal of the project is to update the opus of Ivo Šebalo and to enable the audience from all over Croatia to get acquainted with the work of one of the most acclaimed Croatian 20th century painters. The selection of around 150 works, which were produced in the mid-forties of the 1940s, have been highly representative of the poetics and creativity of Ivo Šebalo. Most of them are handles, watercolors and showers on paper of different dimensions. The collection of works by Ivo Šebalj was enriched by his brilliant, masterful work by Ivan Sabolic, as well as by a very interesting photodocumentation – portraits of artists taken by renowned photographers Marija Braut, Luka Mjeda and Mio Vesović. The specialty of the collection must surely be made up of two large maps of the B1 format, on which Ivo Šebalj tidily arranged small watercolors and waved, wrote a few thoughts, and drew it all in the orderly numbers. 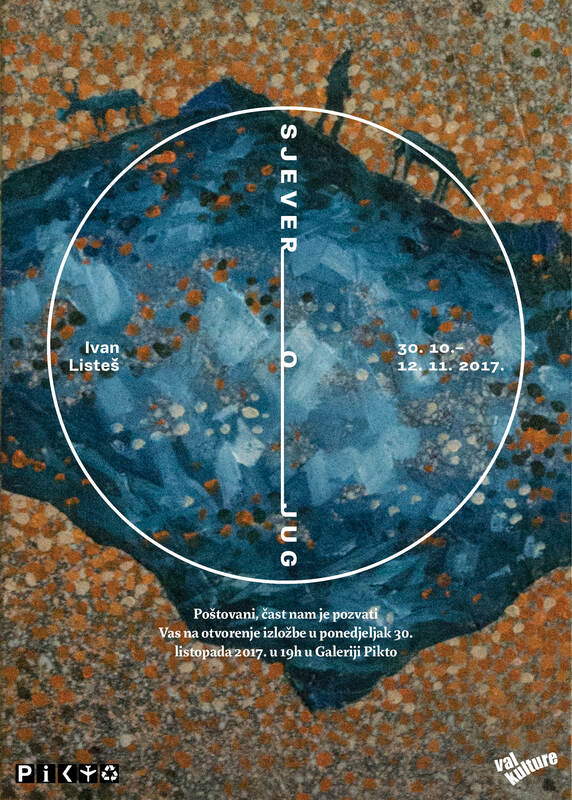 Cycle of traveling exhibitions “Ivo Šebalj: Painting seeks time” will mark the 105th anniversary of birth and the 15th anniversary of the death of the great Ivo Šebalo. Since the collection has not yet found permanent accommodation accessible to all interested, the opus of one of the most important Croatian artists of the 20th century will be presented to a wide range of exhibitions in cities across Croatia that have shown interest in hosting the opus of a great artist. The selection of works and exhibitions will be tailored to the exhibition space of museums and galleries that will host Šebaljev’s opus. The changing character of the exhibition will allow for varied variations and accentuation of works from the exhibition to the exhibition, which will greatly contribute to the comprehensiveness and dynamics of the presentation of the character and work of Ivo Šebalj. Organizer and project leader of the Valkulture association in cooperation with the institutions The Croatian Museum of Tourism, the Art Gallery of Slavonski Brod, the City of Pakrac Museum, the Osijek Museum of Fine Arts and the Center for Culture of Čakovec will exhibit exhibitions in the period from April 2017 to the end of March 2018. The exhibition curator is a graduate art historian and museologist Sonja Švec Španjol.